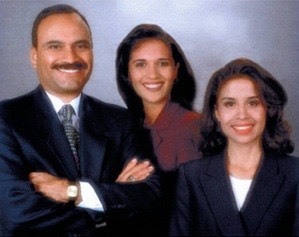 Ronald Ramos established his practice in 1982 after he received his Doctorate of Jurisprudence degree from the Thurgood Marhsall School of Law. His practice consists largely of personal injury plaintiff work including car and truck accidents, work place accidents, dog bites and animal attacks. He assists individuals and business throughout the state of Texas with his principal office located in San Antonio, and an additional office in Laredo, Webb County, Texas. He assists clients by phone, fax, and email, as well as in person. He, along with the other attorneys in the office strive to make themselves available for questions and advice on a daily basis. With over 28 years of legal experience, Ron is highly qualified to practice law in the state of Texas. He often receives client referrals from other attorneys and previous clients who trust his skills. He has also made presentations at seminars sponsored by the State Bar of Texas. Ron believes that no matter what legal situation arises, you should know your options, get answers to your questions, and be confident that you are doing the most you can do to resolve your issues.